BUBBLE OVER BULB! How the first economic bubble took place ever in the world. 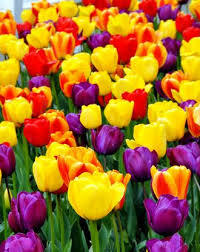 Tulips are synonymous with love in general.Each colour of this flower symbolizes some thing different. Red tulip symbolizes true love, while white one says "I am sorry" but there are few others as well which I do not know! As we all know, The Netherlands is the largest producer and exporter of tulips and Petunia world wide.In Doha where I have been working, during autumn and winter, it is very common to see public and private gardens flooded with Petunia with varied colors, imported from Holland though Tulip is not grown there since climate is not favorable. It was during our visit to Istanbul,Turkey few years back,that I knew Tulips originated from that country- not The Netherlands- which is the national flower to this day. 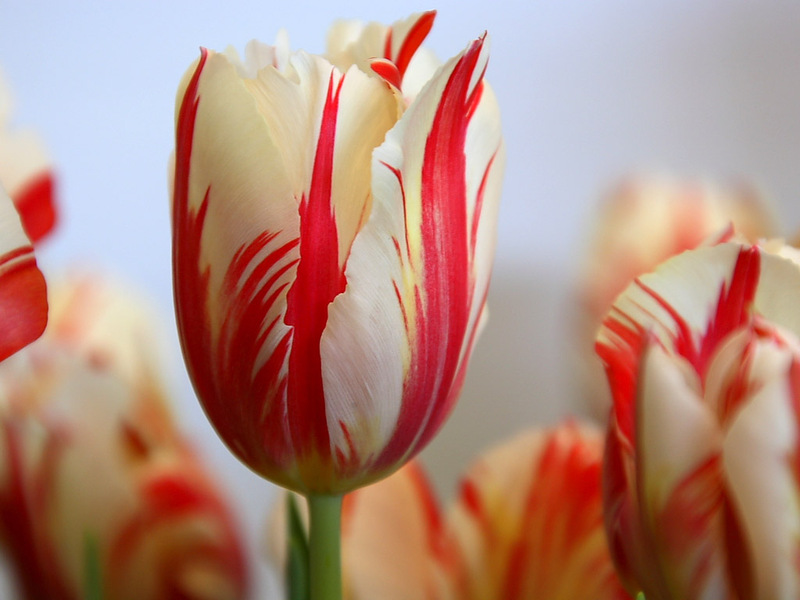 In almost all the wall hangings and painted porcelain tiles, sold on the pavements the beauty of this flower is very commonly displayed.It was from Turkey that Tulip was exported to The Netherlands by 1600, where it was an instant hit. Having said about the beauty and popularity of this flower very few of us know that tulip- in fact bulb of the plant- is also related to the first 'economic bubble' the world has seen! The first economic crisis ever happened in recorded history... forerunner to many crashes in stock market or real estate...now regarded widely as a recurrent feature of modern economic history. The Dutch East India company- first ever IPO- was formed in 1602.The intention was to trade with Asian countries such as India,Indonesia and Far East where spices and other commodities of resale value were there.The Dutch traded with Kochi, my home town as early as in 1663 mainly for pepper.The company was very successful which led to a booming economy in Amsterdam and other cities in The Netherlands.The people who invested in the company shares made a fortune.They started looking for similar opportunities of making 'quick money'. Tulip introduced to Amsterdam found an instant welcome by the rich in the society. 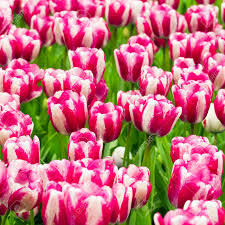 The bright colored petals of the flower along with the fact that the plant can withstand harsh north European climate made it very popular among the people.Tulips which heralds the spring season, are the first flowers to blossom each year, some times while there is still snow on the ground. Tulips contracted by a virus....start of a mania! Around the year 1634, for unknown reasons Tulips were contracted by a virus in certain areas.It was non fatal to the plant but pattern of the flower altered.Instead of one color the virus inflicted plant produced stripes on the flowers!People liked the altered flowers better than original.More the stripes, the value of the flowers went up! !Soon the prices of these particular bulbs went up in the market!!! Tulip mania........few bulbs cost more than a house!! Was it a natural obsession of people over striped tulips or an engineered one, it is never recorded in history.But people became almost mad over those bulbs which produced the striped tulips!Prices of the bulbs of the plants went up day by day.Finally it reached unbelievably high levels.In one month there was an increase of prices 20 times! !It is recorded in history that some bulbs of the plants cost more than that of a luxury house of that time! !A single bulb of the type Semper Augustus was sold for more than 10 times the annual income of a skilled craftsman of that time!The Dutch Government tried to intervene and tried to outlaw the commerce practiced but failed. Semper Augustus, one of the most expensive sold. Between 1634-37, not only the rich the madness spread to almost everyone in Amsterdam.People of all professions and trades- white collared and blue collared or without any collar- started growing the bulbs! Finally the inevitable happened. Over supply lead to lower prices.The tulip market crashed!People who invested heavily lost their money.So also dealers for sure, who went bankrupt!By 1640 the mania was completely over.Since then, as we all know hundreds of economic bursts- large and small- might have happened all over the world.I am sure this will continue in one form or the other since greed for money among humans cannot be stopped. WHAT IF GANDHI WAS NOT KICKED OUT OF THE TRAIN? Pietermaritzburg..a bit difficult to pronounce,at least for an Indian.This is the place in South Africa where Mahatma Gandhi was forced to change his style and outlook towards life he had thus far......It was at this place that he decided to fight racial discrimination, he and other Indians faced in day to day life in South Africa of those apartheid days....ultimately to take the leadership of India's freedom struggle.Fetching freedom of India, that too peacefully, was an epoch making milestone in the history of the world which reverberated through out second and third world! He instigated the movement of decolonization in the world. Gandhi comes from an upper class Hindu family.In spite of that background, young Gandhi-Mohandas was his name- had an ordinary upbringing and was an extremely ordinary student in studies.He was thrilled when he got a chance to go to England to become a barrister.His mother was a very religious person.She gave the nod to him only after he was forced to take three vows in front of a monk.Not to eat meat,not to indulge in sexual relationships(he was married already and had a son) and not to consume alcohol!! !But this did not stop him to be in western attire to join the ship at Bombay docks which took him to England.While in the ship he could hardly mix with fellow passengers being shy.As a strict vegetarian he did not take any chance with any unknown food available in the ship either.Being a sort of introvert he reserved himself to be in his cabin in the ship, eating mostly what ever brought from home!! However after reaching England,Gandhi decided to look as an 'Englishman' keeping the three vows in tact he had with the monk.He brought well tailored fashionable suits and hats,took lessons in dancing, violin and in French.Everywhere either he failed or he did not like to continue .Few months later he decided not to ape English manners any more and decided himself to be a serious student.In June 1891 soon after he was admitted as a barrister he decided to return to India.Only major extra curricular activity he enjoyed during this period is that he became an active member of the local vegetarian society!While Gandhi was back in India as a lawyer also I do not think that he showed anything extra ordinary.He happily took up a contract to perform legal services of a wealthy Indian merchant in South Africa. Gandhi was travelling in the first class coach having a valid ticket.The train was running between Durban and Pretoria.A white man objected to his presence in the compartment and complained to the ticket examiner.Gandhi was asked to move into another ordinary bogie at the rear of the train meant for the non whites to travel.He refused.Gandhi was thrown out to the platform at Peitermaritzburg with bag and baggage.Richard Attenborough has well pictured the scenes in his film Gandhi(1982) which is given below for those who have not seen that.For those who have already seen it could be a nice repeat. Gandhi was hurt and humiliated.It could have been a shocker having spent few years even in London.He moved to the retiring room waiting for the next train to come.It was at this time that his life changed.He was hurt mentally than physically which made him to think over the unexpected incident.He reviewed the situation all through the chilly night.Come what may,he decided to fight out racial discrimination faced by Indians in South Africa.This was the start of his long journey which will be remembered even for centuries to come. 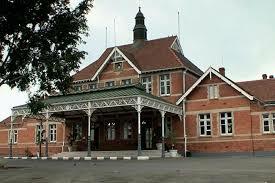 The fateful day was 7 June 1893. What if Gandhi had not been kicked out of the train? Of course this is a hypothetical question.As absurd as asking what if apple did not fall on the head of Issac Newton.Having read about Gandhi reasonably well,I am of the opinion that he would have remained as a loyal servant of British India on his return from South Africa.I don't think that Indians would still be singing "God save the Queen " either now.Shall we thank the ticket examiner who threw him out of the train or even better, the white man who objected Gandhi's presence in the first class compartment? Courtesy: Mr.Richard Attenborough's movie Gandhi.